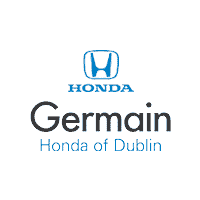 You can rely on Germain Honda of Dublin to make sure your Honda is well-maintained. When you visit our service professionals, we will inspect your battery to make sure it is in good condition. Battery life is hard to predict; it can depend on your driving habits and the climate and environment in which you drive in. At Germain Honda, we have advanced battery testing tools that determine your battery’s condition. We take all necessary precautions needed to ensure we prevent a no-start situation. Our service professionals can quickly assess your battery, and if it needs replacing we will recommend the best car battery for your vehicle and get it replaced for you. Don’t wait until it’s too late. Come visit us at Germain Honda of Dublin and we will make sure you are driving on a reliable battery. If you have any questions or would like to bring your vehicle in to see one of our service mechanics, please give us a call or fill out a contact form online. We are currently updating our Battery-special Specials. Please check back soon.